I’m not really sure why this is, but I’ve always had a bit of a post-apocalyptic fascination. 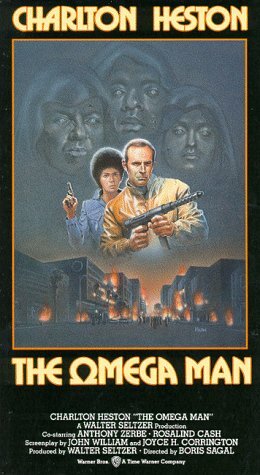 It’s possible I was exposed to “Omega Man” too early, though one could argue against exposure to that particular film at any age. “I Am Legend,” “28 Days Later” and the haunting Cormac McCarthy novel The Road followed. The resulting complex, no matter how I came down with it, has not (I repeat, not) driven me to stockpile weapons (I have nothing more lethal than a 7″ chef’s knife), hoard canned goods (just canned my first applesauce – three quarts! – last night) or board up the windows. No, perhaps my utter helplessness is part of the reason I occasionally worry “Hey, what would we do if the power went out and didn’t come back on? Other than slowly at first and then quickly starve, I mean.” I am not sure if this is normal weight of the world dad stuff or a sign that I could use some time on a nice therapist’s couch. Regardless, I’m trying to get a little more proactive about it. There’s said applesauce in three Mason jars downstairs. I made bacon the other day, which turns out to be just about the easiest thing in the world (Pork belly, salt, Ziploc bag. Seven days. Bacon.) I bought Michael Ruhlman’s masterpiece on the preservation of pork, Charcuterie, yesterday and have read eleven pages. So I guess I should be fine. Whew, that’s a load off. But putting low-grade, fiction-induced psychoses aside, the preservation of food was something virtually every household did up until at least fifty years ago. You had a farm, a few pigs and a bunch of produce. And a family to feed all winter. So you dried and ground corn, cured and smoked hams and, with the arrival of Mason jars in 1858, canned stuff. I’ll give those and more a shot. And just in case the zombie hordes/environmental disaster/nuclear holocaust do materialize, at least we’ll have applesauce and tasty bacon for a couple of days.